Erasable ink for easy ammenment. Note: This refill is designed for Pilot Frixion 3 in 1 & 4 in 1. 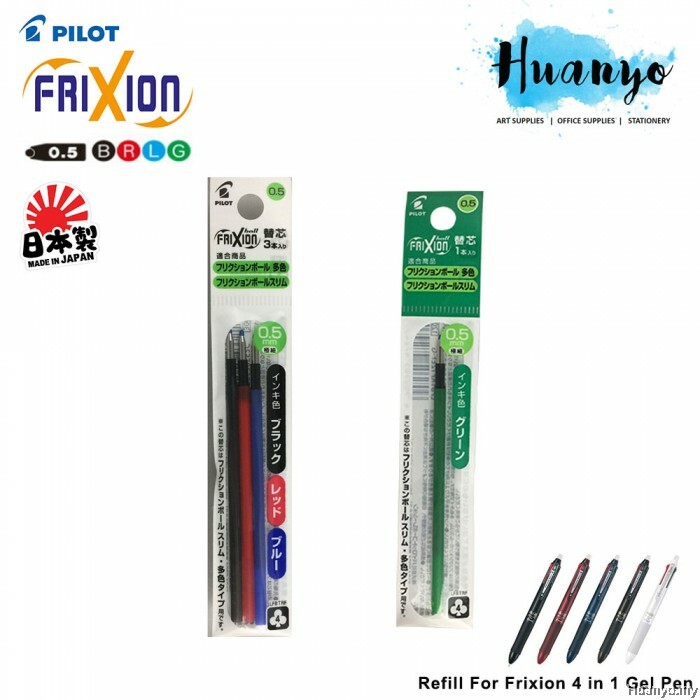 Any of these refills can fit into both Pilot Frixion Ball 3 in 1 & 4 in 1, and Pilot Frixion Ball Slim 0.38, but NOT for Pilot Frixion Ball 0.5 & 0.7 (or formerly known as Pilot Frixion Ball Clicker 0.5 & 0.7) and Pilot Frixion Point 0.5. 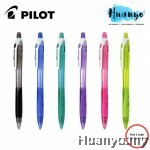 Enjoy four colors of Pilot's beloved FriXion erasable gel ink in one pen body! Like magic, its thermosensitive ink turns invisible when rubbed with the special friction "eraser" built into the top of the pen. The ink will also disappear if exposed to other sources of heat or friction, so we advise against using these pens to address envelopes or leaving anything written with them in a hot car. 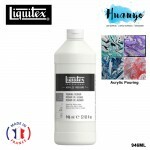 Interestingly though, erased FriXion ink reappears if exposed to temperatures below 14° F (-10° C), like if it is placed in a freezer—it's like magic ink! 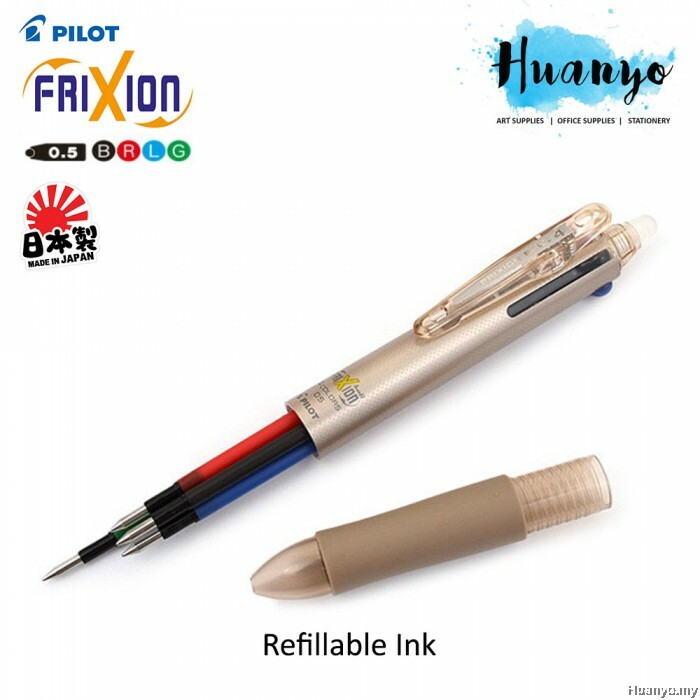 Pilot Frixion series' ink will dissapear when it reaches a temperature of 65°C or higher, and will reappear if it was store in a lower temperature (i.e. below -10°C). Advices: -Erase off your errors by the rubber that attacthed on the pen. -Erase after the ink was dried to avoid tainted. 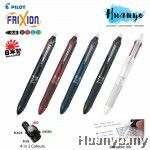 -Avoid to use other eraser to erase off error as it might destroy the paper's surface. -Avoid to place written material in high temperature environment. -Avoid to place the pen in high temperature environment.